Personal Injury Category Archives — Virginia Injury Lawyer Blog Published by Virginia Injury Attorneys Sickels, Frei & Mims, P.C. 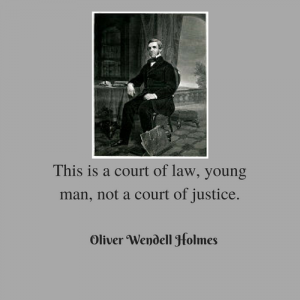 When you think of the law, most of us tend to think in terms like “justice,” “equality,” or “fairness.” Unfortunately, the law is not always fair, nor does everyone receive equal treatment, and often, it does not succeed in meting out “justice.” Virginia medical malpractice law offers at least two examples of this. The first involves the statute of limitations. Recently, an 18-year old woman came in to the office for a consult. As an infant, she was injured by the negligence of her doctor in a surgery that left her without most of her intestine. She asked me about the statute of limitations. When I meet with potential clients for the first time, I am frequently asked about the process of making a personal injury claim. This is not surprising. You hire a personal injury attorney to handle the process for you because you do not know how it works. With that said, I think it is important for clients to have a basic understanding of what happens throughout the process, especially since clients often wonder about their involvement once they hire an attorney. In this post, I will give you just that – a summary of what happens when you make a personal injury claim using our firm. I have been a trial lawyer for 35 years, and over the past 5 years or so, it seems that every client says the same thing in the initial meeting: “I am not the kind of person who sues someone.” It doesn’t seem to matter whether the client suffered a back injury or lost a loved one–people don’t want to be identified as a plaintiff.